Next week, local tourism movers and shakers will descend on the Aberdeen Pavilion for the Ottawa Tourism Awards. Coordinated by Ottawa Tourism, the awards celebrate outstanding individuals, organizations, and events that foster tourism in Canada’s Capital Region. For example, the finalists for the New Company of the Year award — Artist in Residence Distillerie, Le Boat, and Le Germain Hotel Ottawa — exemplify the momentum of our local tourism scene. New buildings, renovated spaces and new attractions have been popping up everywhere in Ottawa in the last few years. All that activity has attracted visitors, sure, but they only get to enjoy these new perks for a few days. As locals, we get to use them year-round. Here, a look at three recent additions that are bonuses for visitors and locals alike. 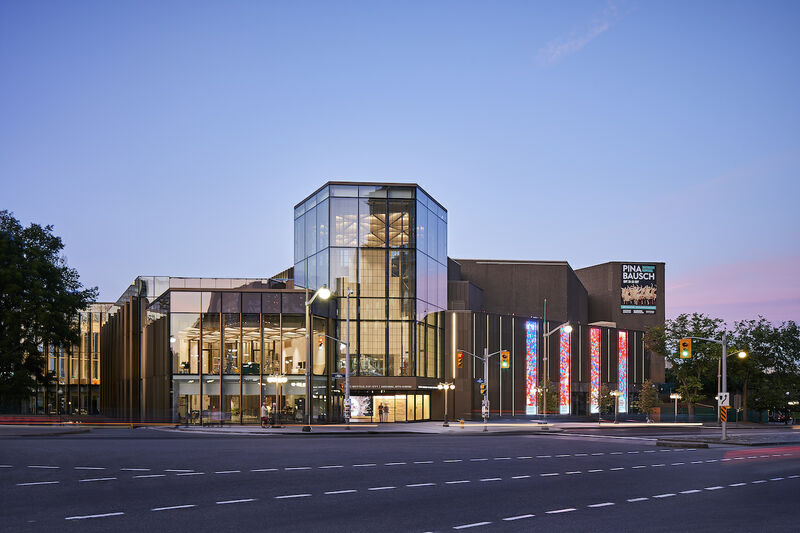 In 2018, the NAC completed a $110.5-million project that included a new Fourth Stage, renovations to Southam Hall and a new box office. The most eye-catching addition, the glass Kipnes Lantern with its huge LED screens, not only made it easier for everyone to find the entrance; it also made the building more inviting. That’s because the sun-filled space and adjacent glass atrium are now home to a café overlooking Confederation Square and Parliament Hill, as well as spaces used for free events, including concerts, talks, and art classes. There are even morning meditation sessions on the grand staircase. Ottawa Art Gallery, exterior dusk. Photo by Adrien Williams. 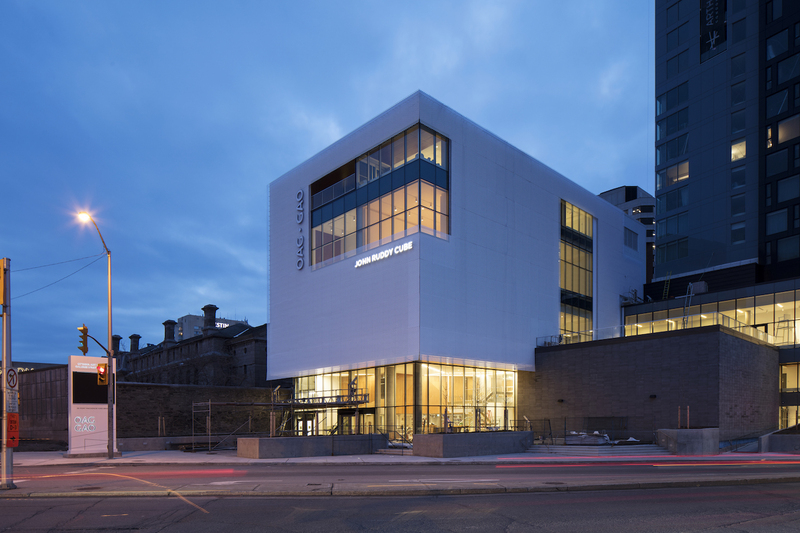 In April 2018, after a three-year construction project, the Ottawa Art Gallery threw open the doors to its new 55,000-square-foot, six-storey home. The extension, which triples the gallery’s space, is ingeniously integrated with the OAG’s old space at Arts Court, as well as the UOttawa campus next door. Like the revamped NAC, it is designed to encourage passersby to come in. On Daly Avenue, pedestrians can peek through a huge glass wall into Jackson’s, the gallery’s restaurant. On the Mackenzie King Bridge side, more glass and a sweeping staircase entice people to check out the gallery’s shows, which focus on artists with an Ottawa connection. This attraction was originally to be a temporary installation for the country’s 150th birthday in 2017. But it was an instant hit, so the Ottawa 2017 organization donated it to the city. The City of Ottawa spent roughly $120,000 to create a plaza on York Street for the sign, which now stars in countless selfies featuring people curled up inside the “O” or making a giant “T” with their arms. Those social media photos spread the word that Ottawa is a happening place. Tourism makes it possible for Ottawans to have all these nice things. Every day, visitors add $3.8 million to Ottawa’s GDP. Every year, they contribute $755 million in municipal, provincial and federal taxes — money that helps build and maintain attractions, and keep them affordable. So the next time you see visitors snapping photos of a famous monument, remember that it’s partially thanks to them that we have airy art galleries, glittering theatres, and a quirky new ByWard Market attraction to enjoy.